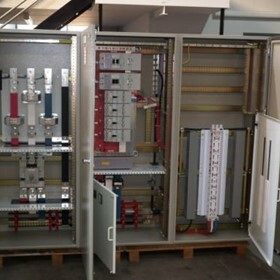 Norselec is a small dedicated specialist in the Design, Manufacture and Service of Commercial and Industrial Electrical Switchboards, Control Panels and Systems. Our team of fully qualified staff are committed to providing a complete design and consultancy service to all facets of the Australian Electrical Engineering Industry. Norselec include in their ambit the design, manufacture and on going maintenance of their products which include Drinking (potable) water purification plant, Food processing plant, Onboard ship engine room equipment, Paper manufacture and processing, Petrochemical plant, Refrigeration and cold storage & Sewage treatment. Norselec is a proud member of the Standards Association of Australia and is a regular supplier to the N.S.W Public Works, Department of Commerce, Sydney Water and various local Councils and Authorities.